The New Year seems to show up at the perfect time. Between Thanksgiving and Christmas, we have really run ourselves down. For the past couple of months we have been indulging in rich foods, and justifying cheat days, every other day. So by the time the New Year rolls around, we’ve eaten and shopped ourselves crazy, and it’s a perfect time to say, “It’s time to make some changes”. 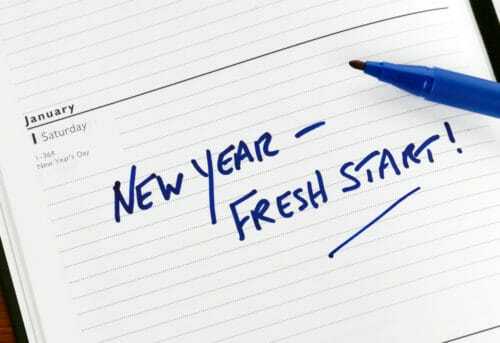 The New Year can really be a time for cleansing, a fresh new start. None of us are perfect and we should all review our lifestyle to see where there is room for improvement. The Back and Neck Center of Brick has been helping patients in Brick, NJ achieve and maintain a healthy spine, and overall wellness for over 28 years. Review the following resolutions to help make 2018 a year of health and happiness! You probably hear it all the time, but thats only because it’s true. Or bodies were not made to just sit in chairs all day. Think of your body as a cars engine. If a car just sits in a garage week after week, the car will start to develop problems. You want to run the car regularly to get those juices flowing and keep all of the parts healthy. Your body really isn’t much different. If you could make the time to exercise once a day for just 30 minutes, it can make a significant difference in the quality of your life. There are too many benefits to list when it comes to exercising but here’s just a few to give you an idea. And perhaps most importantly, regular exercise will make you look and feel your best! Exercise is fantastic, but it’s only half the battle. In order to maximize your health, you need to focus on your nutrition. There are so many resources on the internet to help learn what it takes to develop a solid nutrition plan. You could even find a plan that suits your particular needs due to health issues you may be dealing with. For example, if you are living with osteoarthritis, you might want to incorporate rich greens into your diet. Cruciferous vegetables such as kale, and broccoli are rich in calcium which can ease symptoms of osteoarthritis are even help prevent this condition from developing. Foods such as spinach, beans, and lentils are high in magnesium, which is shown to help patients living with back pain. We are what we eat, so stock up on quality food and live a quality life. You may not make a correlation between smoking and spine health, but cigarette smoking has been linked to spinal conditions and arthritis. As if you didn’t have enough reasons to quit! Generally speaking, smoking decreases circulation, which deprives your spine of the vital nutrients needed to prevent injury. Research shows that it can be easier to ditch cigarettes in January because of the motivation that the “Resolution” provides. Today is the day to make a change! Losing weight is usually overlooked when it comes to back and neck pain. But if you are 50 pounds overweight, that’s like walking around with a 50 pound pack all day. Carrying this extra weight applies more pressure to your spine and joints, making you more vulnerable to herniated discs, osteoarthritis, and sciatica. If you develop a smart nutrition and exercise plan, that should address your weight issue. Health is interconnected. Spinal health plays a crucial role in your overall health. A healthy spine ensures that your nervous system is running correctly. As spinal specialists, your chiropractor can help relieve aches and pains associated with spinal conditions, but he or she can also help improve your overall health. Research has shown that receiving regular chiropractic adjustments help reduce the stress hormone known as cortisol and help boost the presence of infection fighting antibodies. 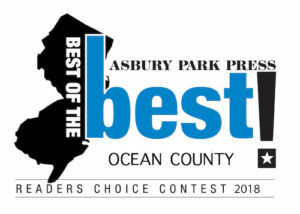 If you are in search for a Chiropractor in Brick, NJ or anywhere else in Ocean County, the Back and Neck Center of Brick can help. We have been serving patients for over 28 years. Our experienced team of doctors and staff will ensure pain relief in a comfortable atmosphere. Make 2018 the healthiest year of your life! On behalf of everyone from the Back and Neck Center of Brick, we’d like to wish you a Happy and Healthy New Year! Prev Previous post: Cold Laser Therapy. Is it the Right Treatment for you?